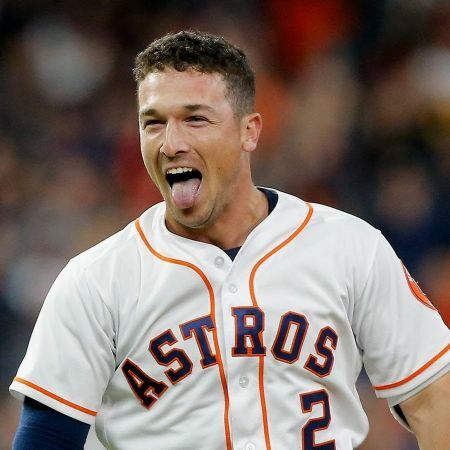 Home Article American Baseballer Alex Bregman Dating a Girlfriend or He Is Secretly Married and Enjoying Time With His Wife? American Baseballer Alex Bregman Dating a Girlfriend or He Is Secretly Married and Enjoying Time With His Wife? The American professional baseball infielder Alex Bregman is known for playing with the Houston Astros of Major League Baseball (MLB). Alex was named MVP in the 2018 MLB All-Star Game. Keeping his professional life aside, Alex seems to have a quality of time with his beloved partner. Is he married to his girlfriend of years? Down below we've covered everything you need to know about Alex Bregman's relationship and more! The American baseballer Alex Bregman hasn't married yet but it doesn't mean that he's single. Currently, Alex is dating a beautiful girlfriend. But who is the lucky girl? Alex Bregman and Hannah Cormier dating currently. Sad to many of his admirers, but the baseball infielder is off the market. 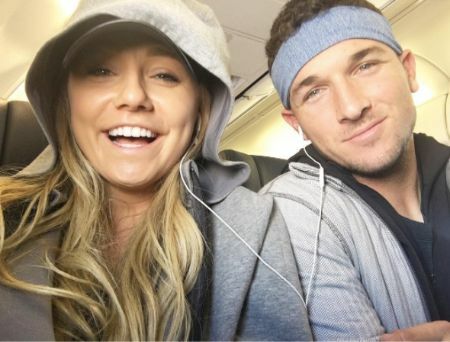 Alex Bregman has found the love of his life as it seems as, over some period of time, he is indulging himself in an open romance with television actress Hannah Cormier. Hannah is also an accomplished dancer for the Los Angeles Clippers. Still, Alex is yet left to open about his lovey-dovey with Hanna as he's not revealed much information regarding his current relationship. However, the PDA couple doesn't back off to flaunt each other's chemistry amidst their fans through their social media. Hannah shared a passionate kiss with her beau and shared the image via Instagram celebrating Valentine's Day 2017. With these two open romance, their fans are totally overwhelmed speculating that they might turn their sweet bond into a husband and wife relationship soon. Are they actually in love or lust, no one knows? Every possible lining, these two beholds deep inside their heart. Until then, we just wish the friends with benefits to squeeze as much as fun and lovely time together until finally preparing for the next big step in life! Earlier this year in January, Bregman underwent arthroscopic surgery to remove bone chips in his right elbow. Back then, during the happenings, Astros' announced that Bregman's will be “limited” at the start of spring training. He, however, returned to action in spring training from March 2. “It’s a decision that he made together with us to take care of it now." Alex Bregman was born on March 30, 1994, in Albuquerque, New Mexico, United States. The 25 years old baseballer stands with a fair height of 6 feet on the ground weighing 82kg. In 2010, Bregman became the first high school player to win the "USA Baseball Player of the Year Award". In 2019, Alex got named MVP of the MLB All-Star Game and led the American League in doubles. As of 2019, Alex Bregman's estimated net worth is $5.5 million.